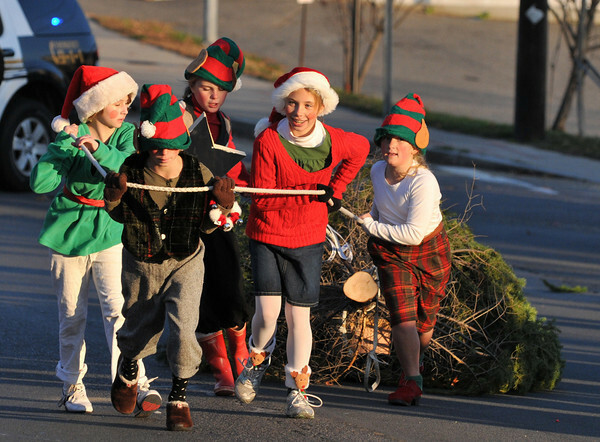 Gloucester: Charlotte Salmon 10, Samantha Orland 11, Kelly Broe 10, Isabel Gleckner 10,and Carly Curcuru 11, pull a 16 foot christmas tree in the Santa Parade Sunday afternoon. the group took home 3rd place. .Desi Smith Photo/Gloucester Daily Times. November 29,2009.